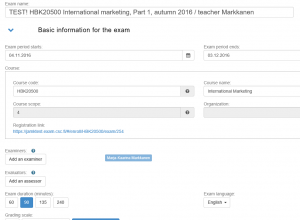 To create an exam in the Exam application you need a JAMK user name. Every exam for a course has to be created separately in the Exam application. The teacher defines a time window (period) in which the exam can be taken. The student can sign up for an exam in the Exam application only if the teacher has created the exam and the time period is valid. The time period set for the exam can be for example one month. Exams always begin at 30 minutes past the hour. To take the exam in the Examstudio, the students will make a reservation for the date and time that best suit them during the exam period defined by the teacher. There are eight exam computers in the Examstudio. The Examstudio is monitored by a video surveillance system that records besides video also audio. In the Examstudio, regular exam rules and procedures apply: no talking, no cheating, no disturbing other students. In all cases, the teacher has the responsibility over the exam and thus, in cases of exceptions or irregularities in the procedure, the student is advised to contact the teacher. The computers are designated only for taking exams. Connections to external internet and web services are blocked. The use of USB-memory sticks and discs is blocked. There are three steps in creating an exam. Maturity test? The files that the student needs in the maturity test are in Elmo (pdf, docx). Load them first e.g. to C-disc, so you can easily copy them to Exam application. 3. Define the basic information. Give a descriptive name to your exam. Define the exam period, during which the exam can be taken. 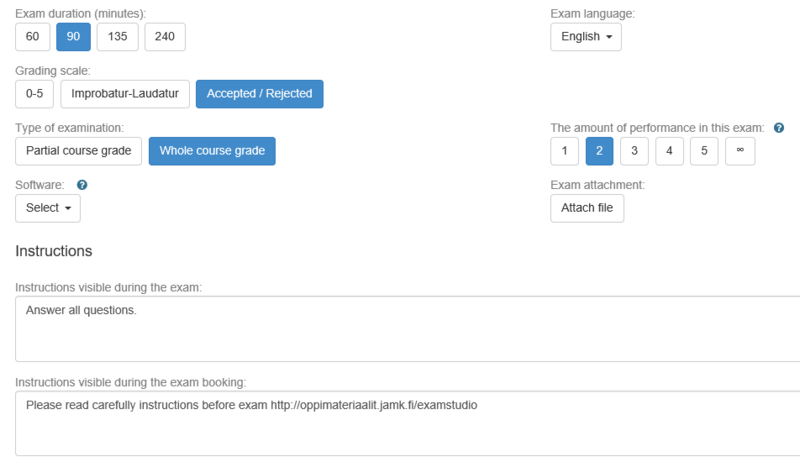 Ensure that the time period is long enough for the students to have plenty of time options for taking the exam – the Examstudio can be overly booked during peak times. 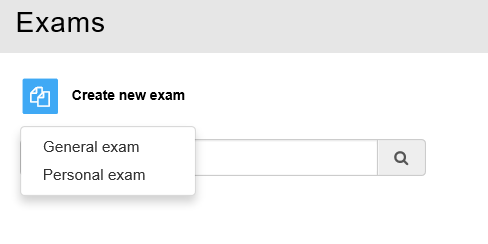 You can add more than one examiner for the exam. In a maturity test add an evaluator. If the name of the examiner is not listed in Exam application ask him/her to log in once to update the database. 6. 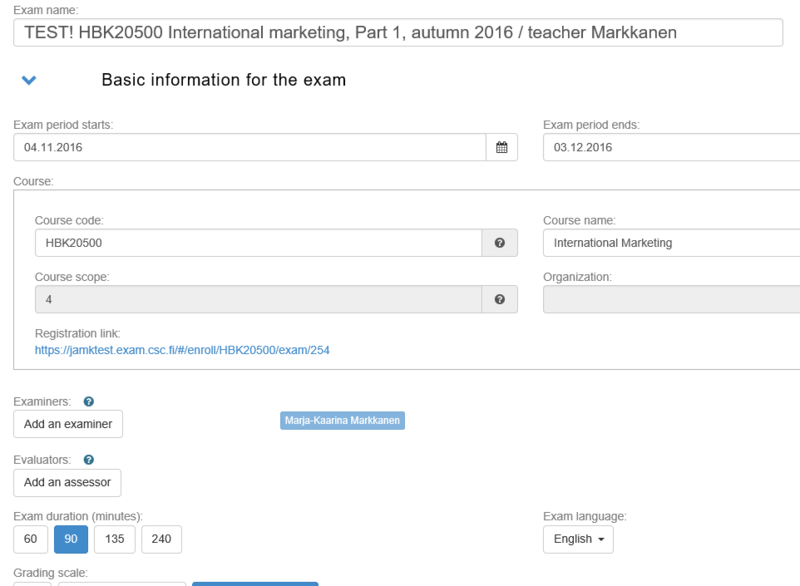 After publishing the exam is visible to the students and they can sign up now for an Examstudio exam. Notice that the Exam assessment data is not automatically synchronised to ASIO or Optima.